David is a Trustee of The Project Crimson Trust and is the Science and Technical Advisor to Trees That Count. 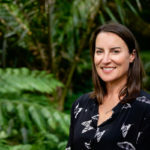 He is a director of Environmental Restoration Ltd based in Rotorua where he is a scientist specialising in restoration ecology and promoting the planting and management of indigenous forest. He has 40 years of applied research experience and, until recently, was a senior scientist with the Crown Research Institute Scion. His interests include establishment and management of natives in a range of ecosystems from coastal dunes and wetlands to riparian areas and forests, and sustainable management of culturally significant plants. 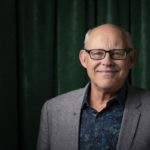 David has established networks with central and local government agencies, community conservation and restoration organisations, Maori trusts, science providers and landowners. David also has a long history of working with totara and is a founding member of the Northland Totara Working Group, set up to promote productive management of naturally regenerating totara on farmland. He has developed practical guidelines for the rehabilitation of natural vegetation and sustainable management of culturally significant plants. This has included promoting the establishment of native trees for a range of benefits including wood production. David has also produced some outstanding publications on a range of important native tree species including kauri, totara and pohutukawa (his pohutukawa publication is available from the Project Crimson website here). He is a founding trustee of both the Tāne’s Tree Trust and of the Coastal Restoration Trust of New Zealand.